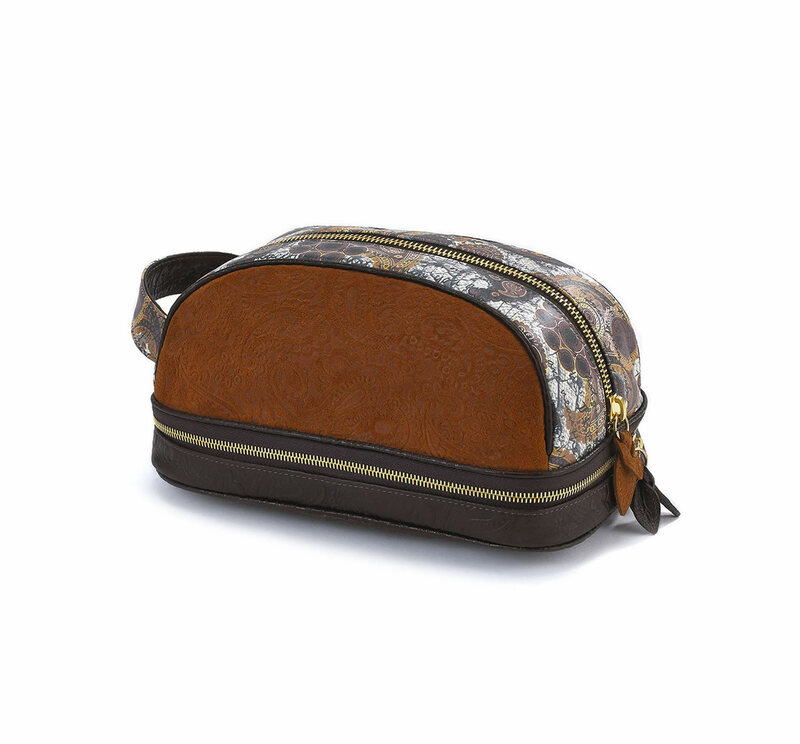 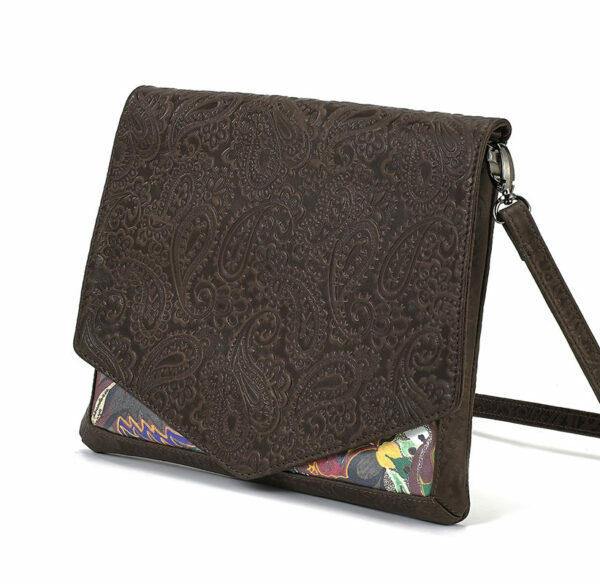 Materials: Genuine brown embossed paisley leather exterior, genuine pig suede interior. 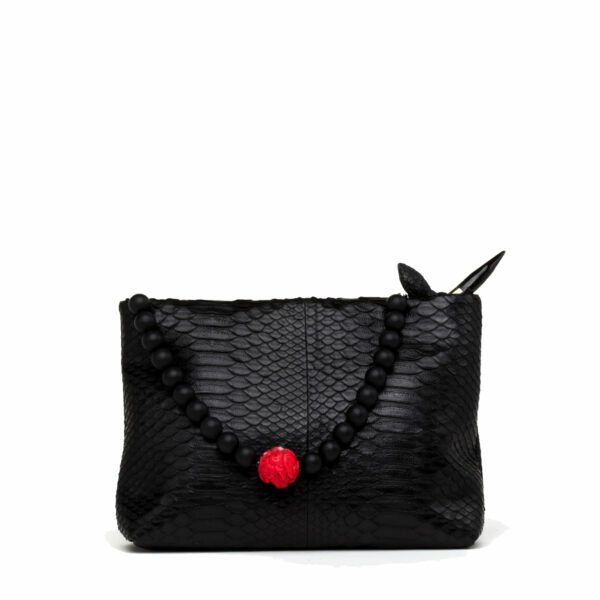 Materials: Genuine black python skin exterior, removable onyx and one of a kind carved coral handle, removable python handle and mini horn is biodegradable calcium. 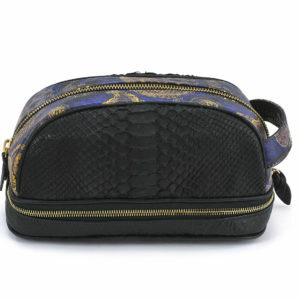 Interior: genuine suede, genuine python skin pocket. 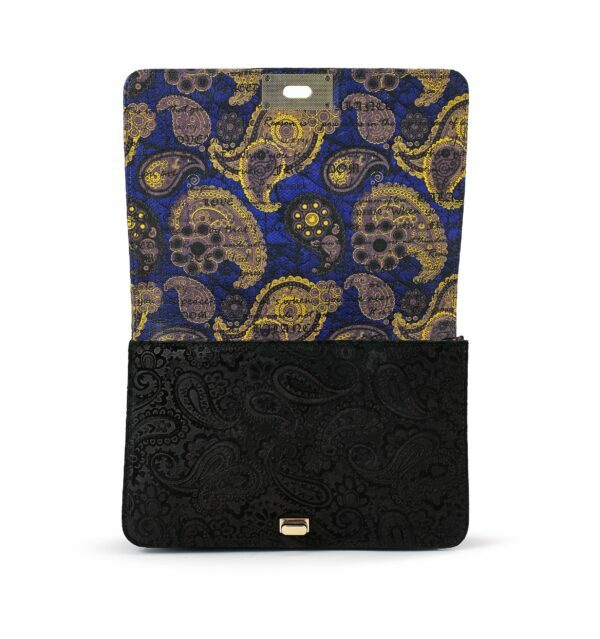 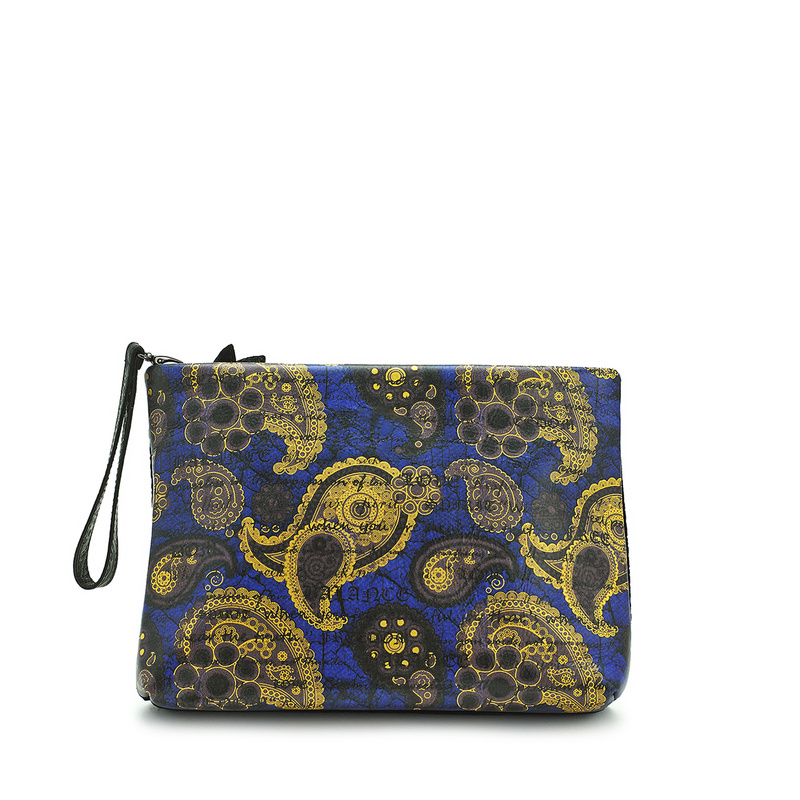 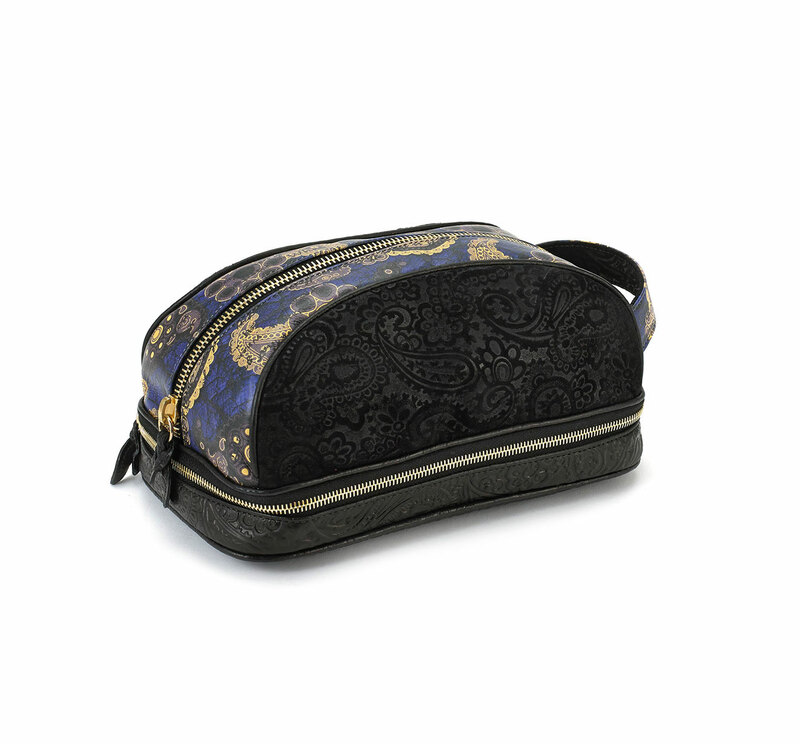 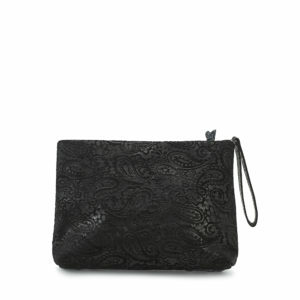 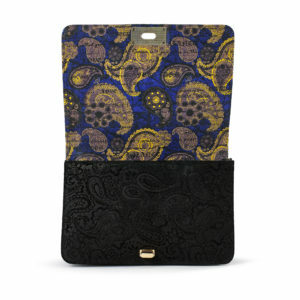 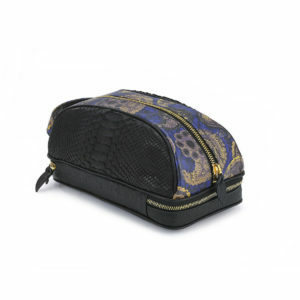 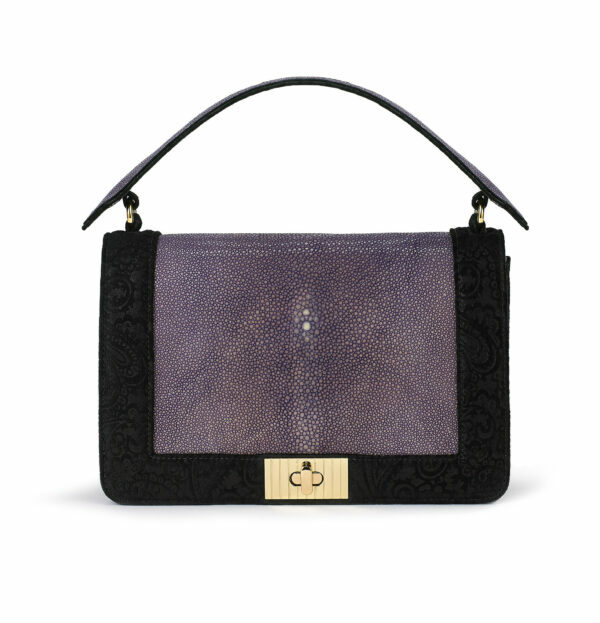 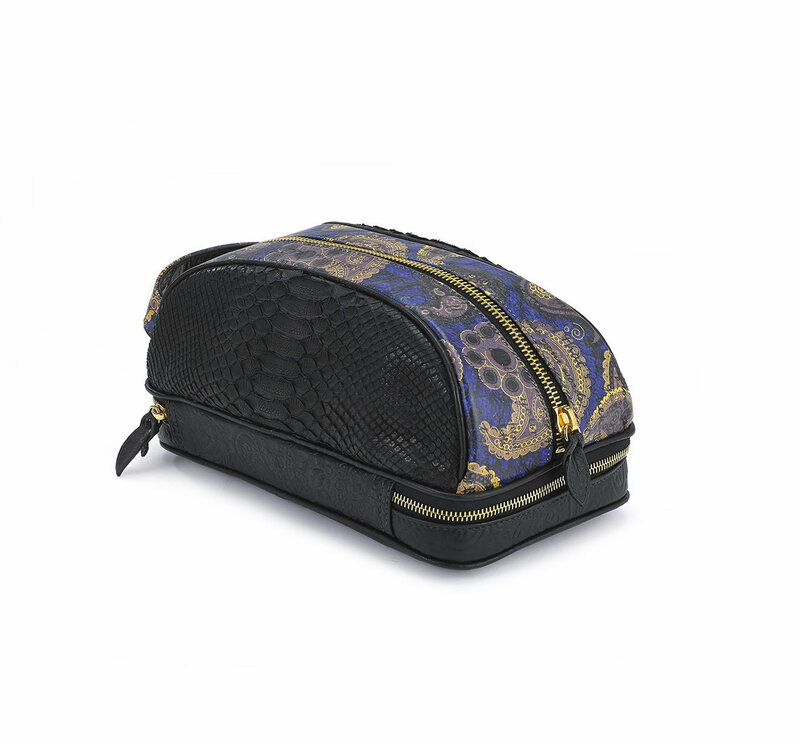 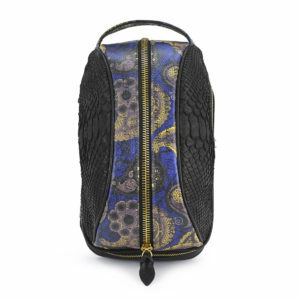 Materials: Two-sided genuine blue black gold python, genuine black embossed paisley leather. 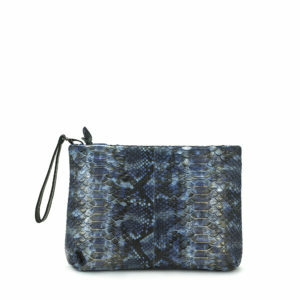 Wristlet: python. 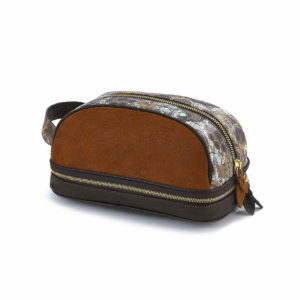 Interior: genuine suede, interior pocket. Gun metal hardware. 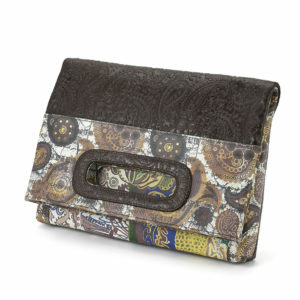 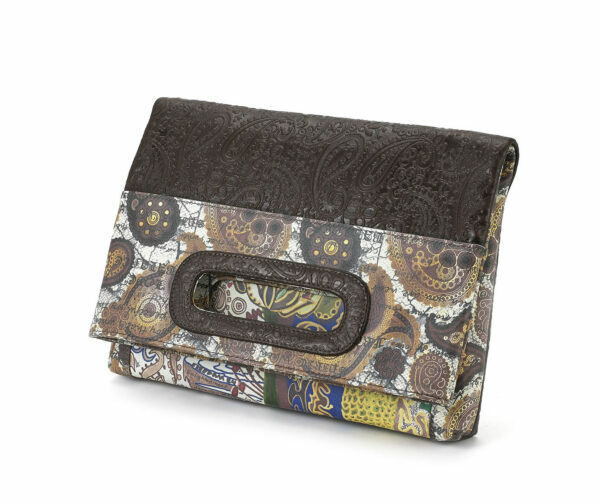 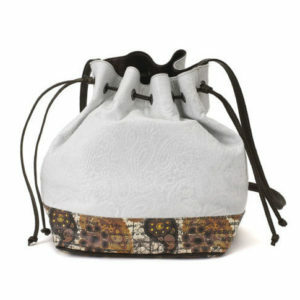 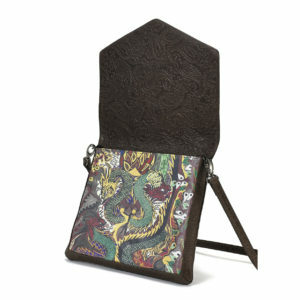 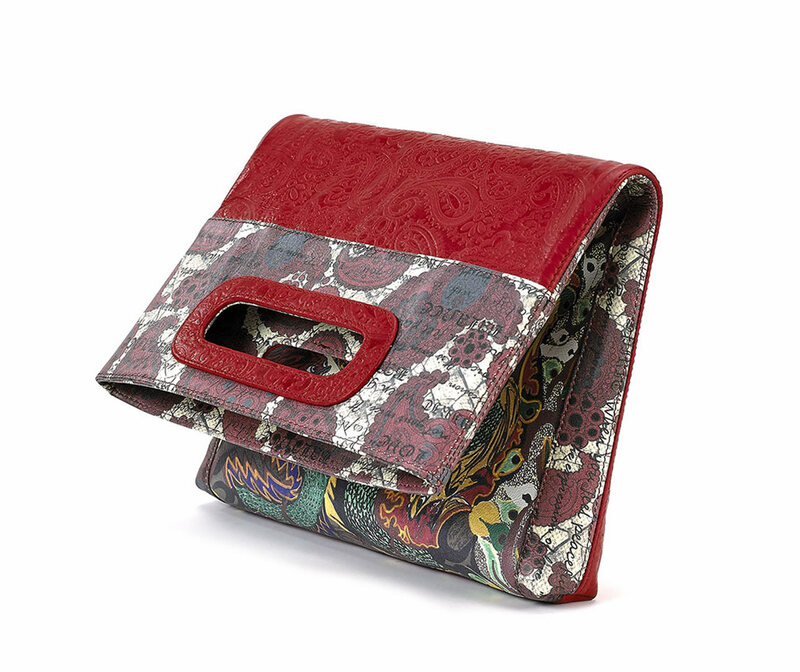 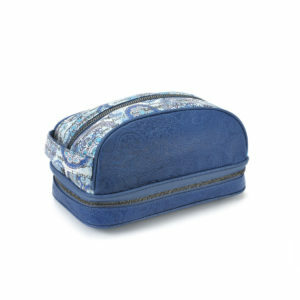 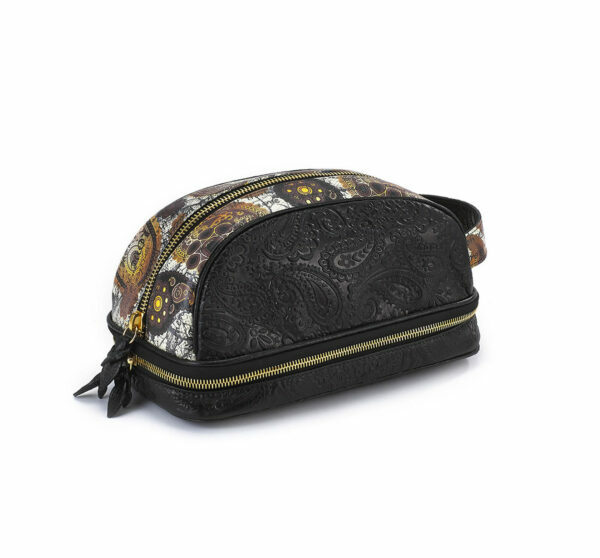 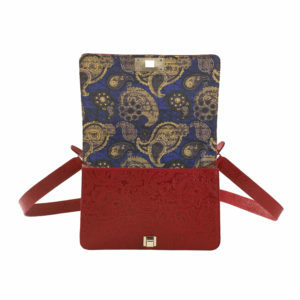 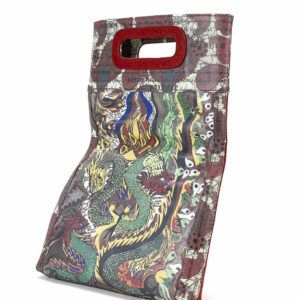 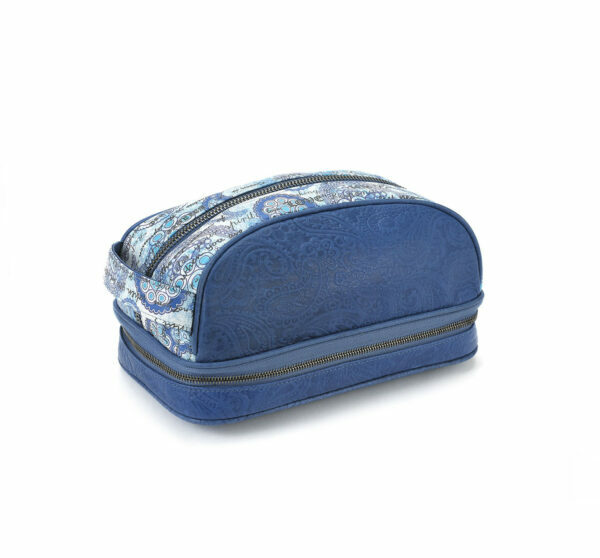 Materials: Two-sided genuine paisley writing leather, genuine embossed paisley leather. Wristlet: black leather. 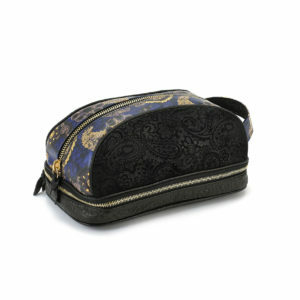 Interior: genuine suede, interior pocket. 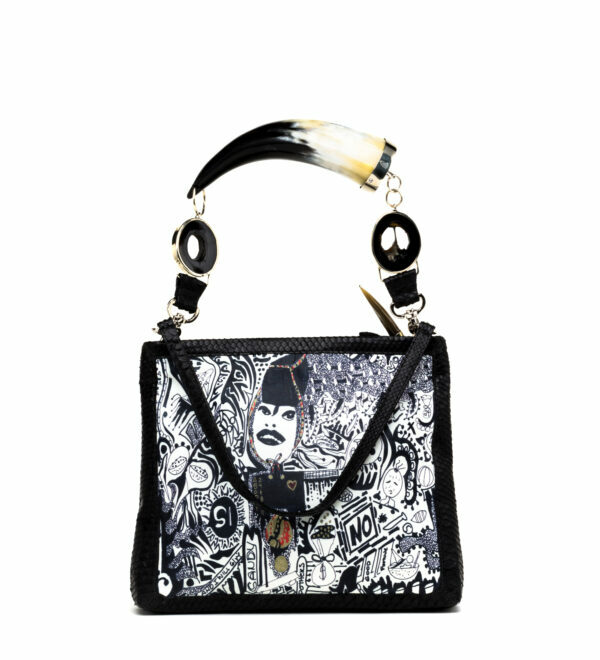 Gun metal hardware. 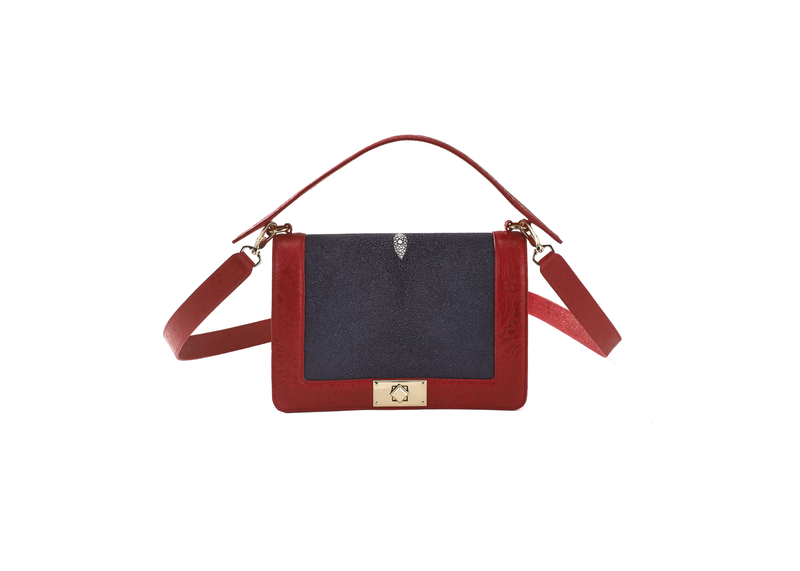 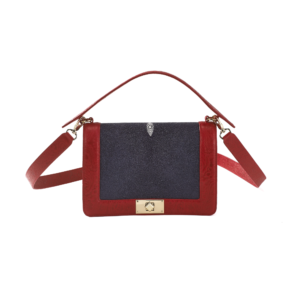 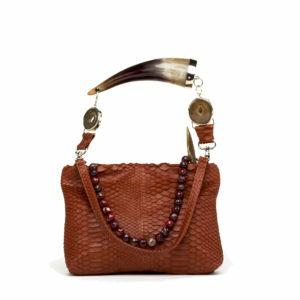 Materials: Stainless steel hardware on handbag. German silver on horn handle; Horn is biodegradable calcium component. 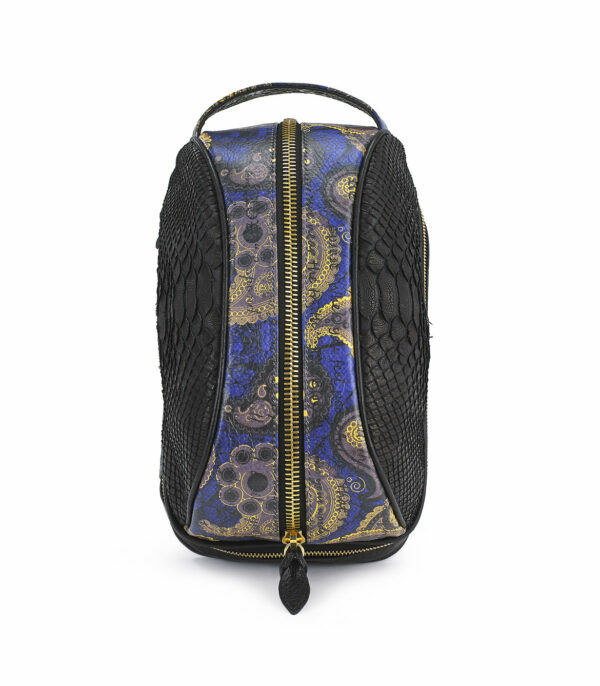 Outer Genuine Python, leather, with suede interior and an interior python pocket. 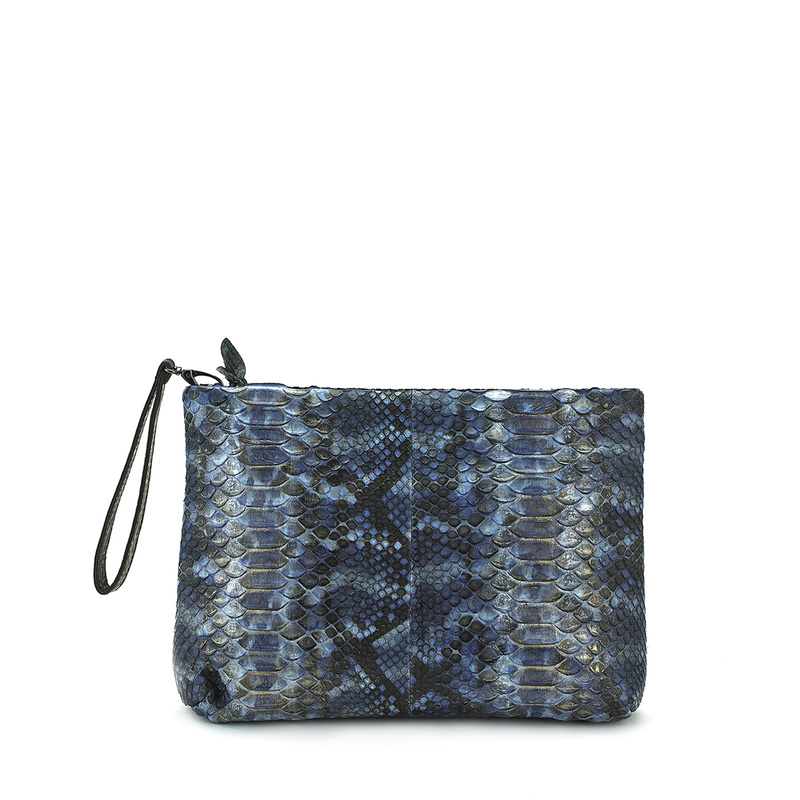 Removable python strap handle and removable horn handle. 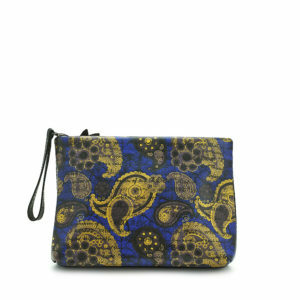 Oversized Clutch. Materials: Genuine cognac python skin exterior and genuine suede interior, removable python handle, removable biodegradable horn handle, removable Poppy Jasper beaded stone handle, German silver and stainless steel hardware. 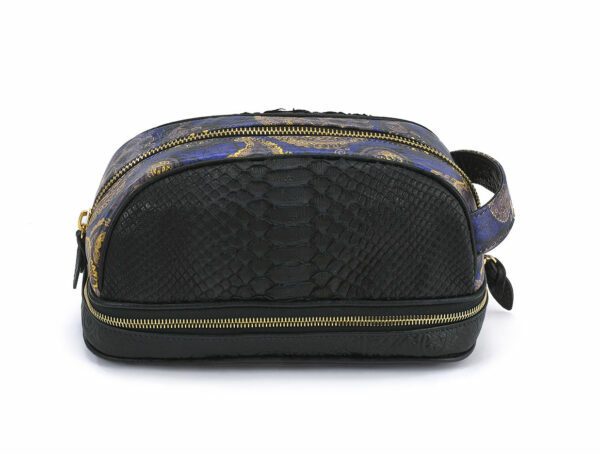 Interior: genuine suede, genuine python skin pocket. 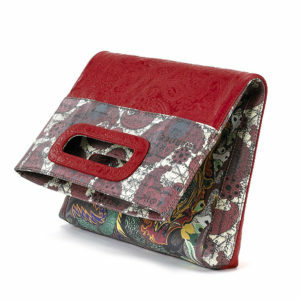 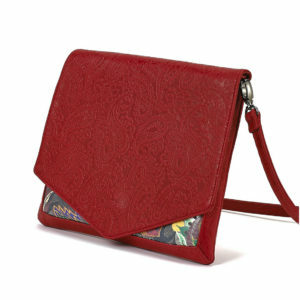 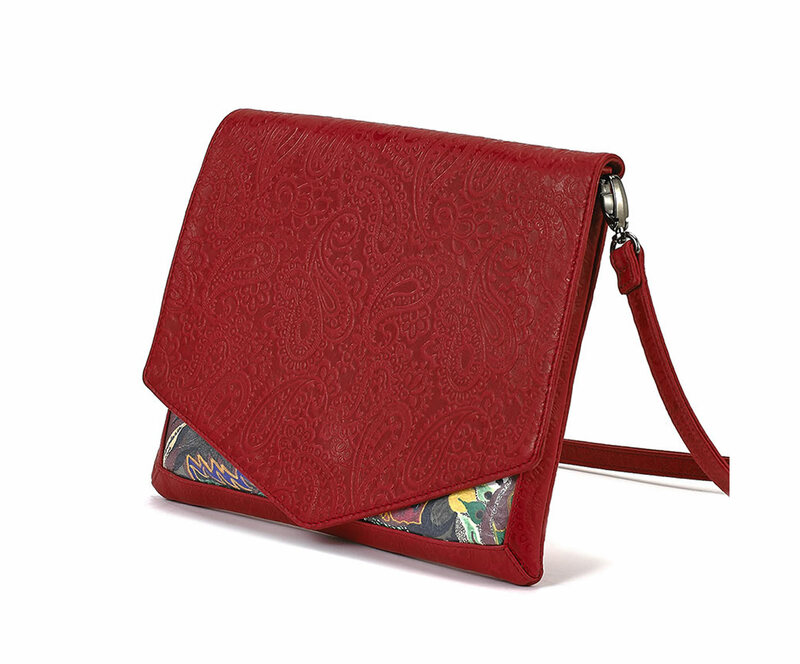 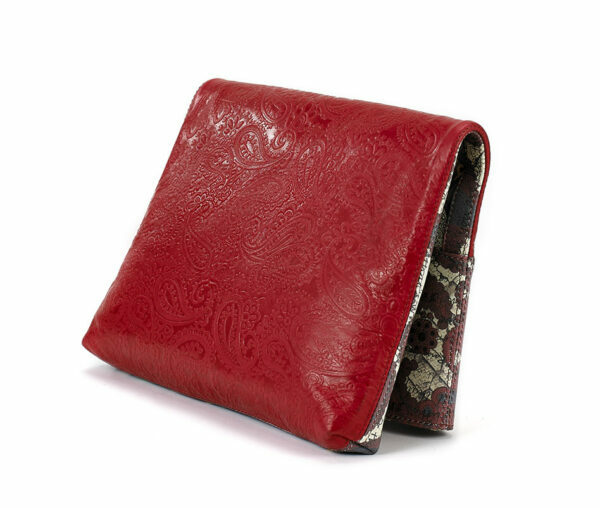 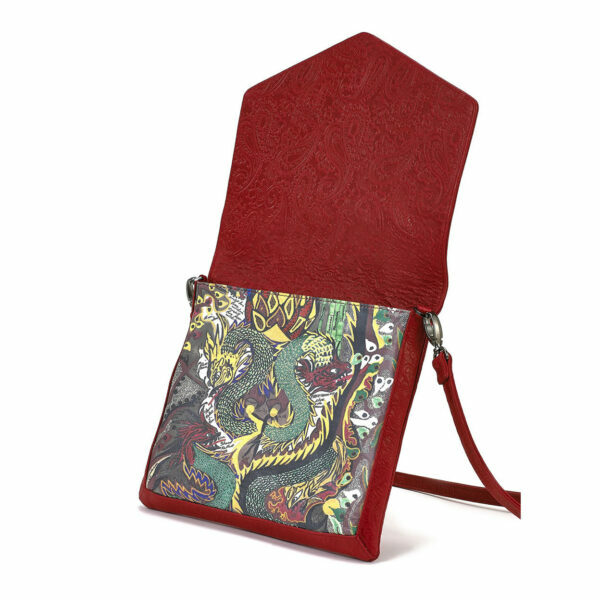 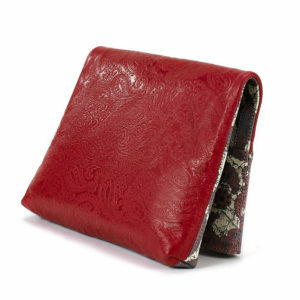 Materials: Genuine red leather embossed paisley exterior, genuine pig suede interior. 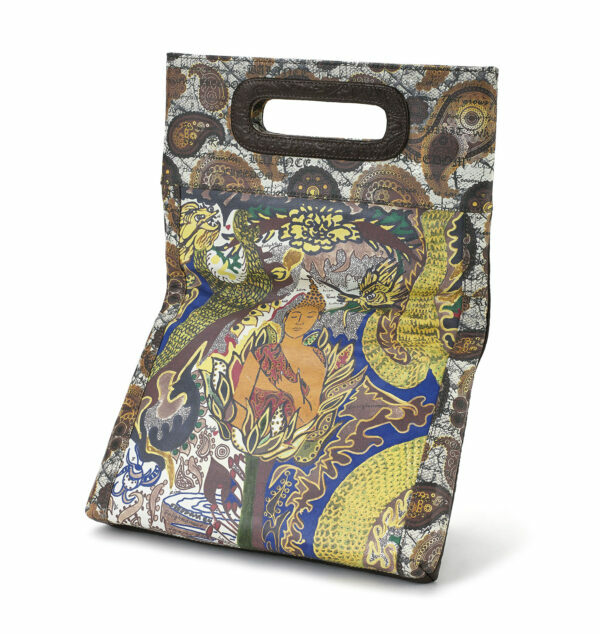 FREEDOM24 is a unique brand rich with beauty, energy and spirituality. 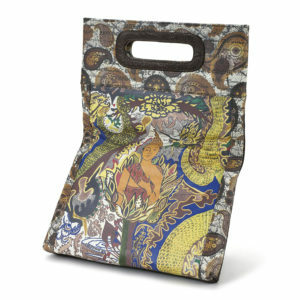 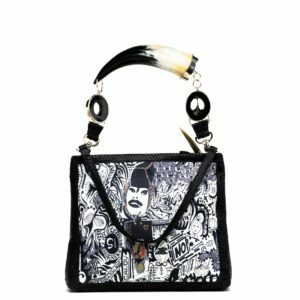 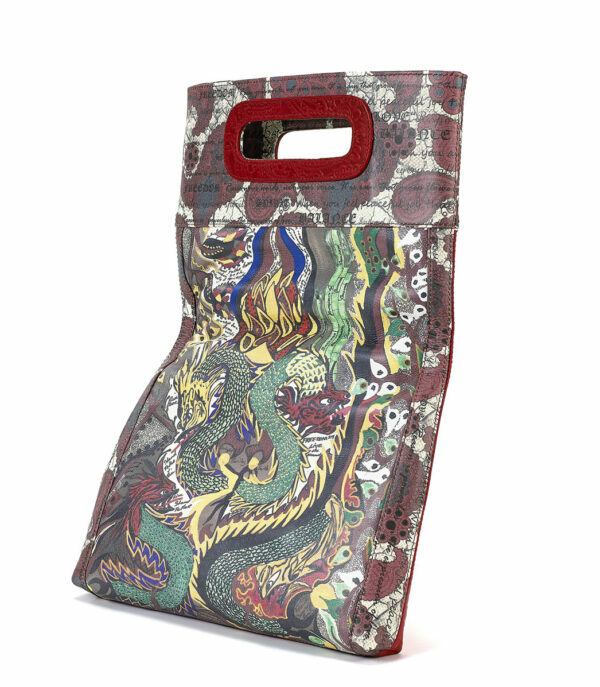 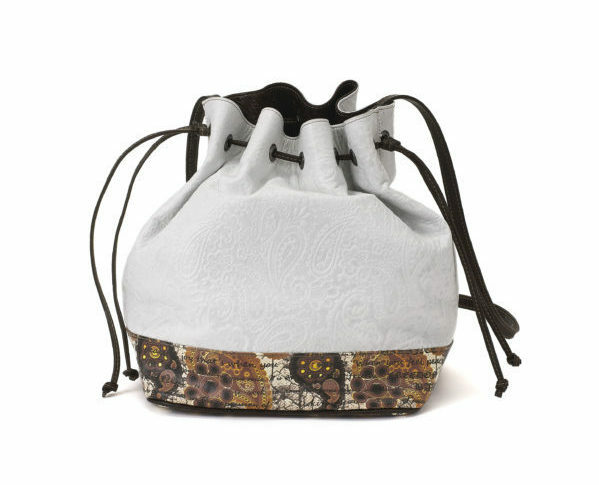 While our product line continues to grow, the current focus is on our handmade bags which are crafted with original paintings, amulets and exotic skins.